Nokia 808 PureView Multiple Photo Email Attachment from Gallery and Facebook and Twitter Bulk Share Software Update, Live! I've already said this so many times in the past and I will keep saying it until everyone gets the point: "Nokia 808 PureView is the best cameraphone in the world today and that's something that nobody can deny." The smartphone's unprecedented 41 MegaPixel sensor, Nokia's PureView imaging innovation that compresses several pixels into one pure pixel, and the best imaging algorithms that the Finnish giant could have give it all combine to make Nokia 808 PureView the best handset there is for taking photos of any subject in any lighting condition. As some of you know, I own a Red Nokia 808 PureView and it's been my one the phones that I regularly bring to events and meetings since January. My job requires me to take good photos and this handset really helps me with that especially since I'm not a fan of carrying a bulky DSLR when I'm out and about. I've loved Nokia 808 PureView from the first time I saw its press photos early last year and I love it even more now that Nokia has released a software update for the smartphone finally allowing users to send multiple shots via email or share them on Facebook or Twitter in one go. Prior to this update, users had to attach images to emails or upload them to Facebook one by one. Twitter sharing was also not available. 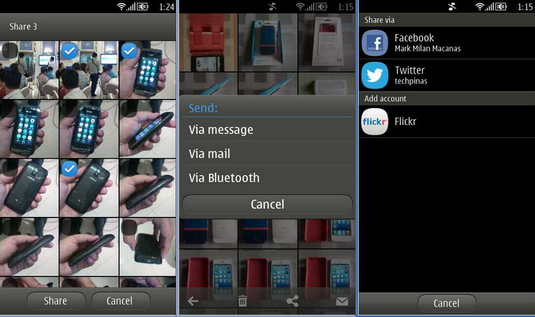 So to everyone who's already at wits' end trying to figure out how they can send images taken using their Nokia 808 PureView in bulk, we finally have a working and permanent solution! 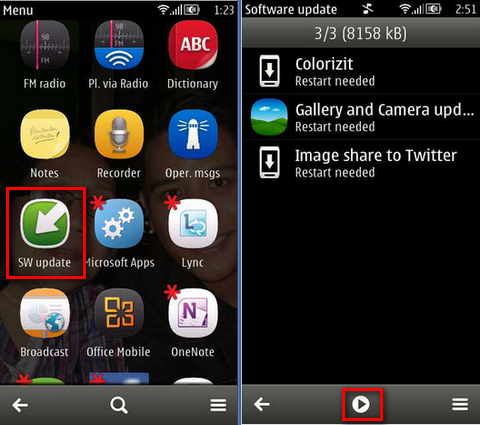 To install this software update on your smartphone, just click on SW Update icon on your app drawer, and when you see that the updates are already available, just click on what looks like a Play button at the bottom of the screen. This will prompt your device to download the update files and to install them. The whole process takes around 5 to 10 minutes depending on the speed of your connection. Note that you'd have to restart your Nokia 808 PureView to complete the installation. There you go! I hope you find this useful. If you do, kindly share this post on Facebook and Twitter, and make a fellow Nokia 808 PureView owner smile today.